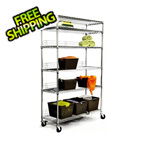 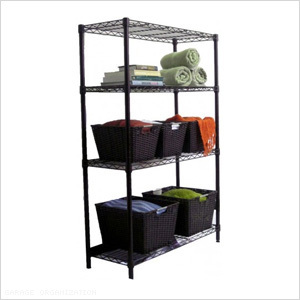 TRINITY’S NSF certified consumer-grade wire shelving rack is perfect for any kitchen or home use. With a 300 lbs. 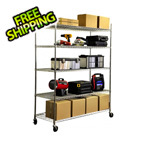 weight capacity per shelf on feet levelers, it can hold any of your books, kitchenware, or household items. 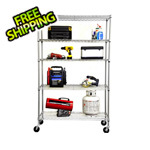 Assembly requires no tools, and uses a slip-sleeve locking system which allows shelves to be adjustable in 1-inch increments.